Current Affairs 2017 (September) with Latest Current Affairs for preparation of Banking, SSC, IBPS, State Level Public Service Commission, IAS, UPSC and other exams. Current Events September 2017 news summary on current events of national and international importance. Dear Aspirants, We collected the list of current affairs events for the month of September 2017 in a PDF capsule Format. This current affairs PDF of provides you insight into current affair events that are important for banking, insurance, SSC, UPSC and other competitive exams. We have a great pleasure to provide you the Current Affairs September 2017, which is especially useful for the candidates who are appearing for Competitive Exam. Here We covered all important current affairs events in daily basic,kindly check below links & make Hand notes from our data. Current Affairs Section is very important for your exams. In this section you can score very high and that too in less time. It is sometimes not possible to read the Newspaper each day or not possible to gather each and every important news. But you can prepare for the Current Affairs Section by simply reading a monthly Current Affairs PDF. 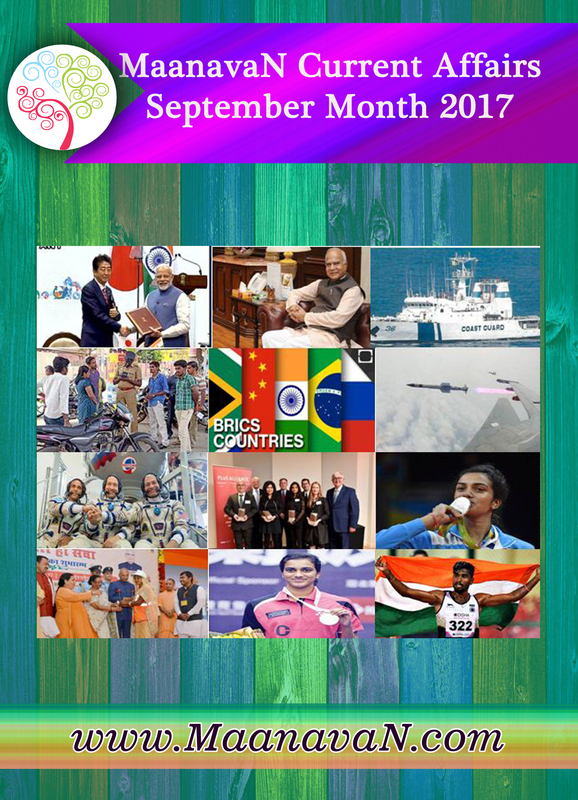 So we have come up with a Monthly Current Affairs September 2017 PDF. September Current affairs 2017, Quiz for preparation of IBPS, RRB, SBI, Railways, Postal and Competitive Exams. Our September Current affairs 2017 page covers various sections like banking & finance Current Events 2017, business & economy, Indian and International affairs 2017, defense, environment current affairs, persons and many for competitive exams preparing aspirants.